Won first in her class at the three counties show 2012 (senior female) and reserve champion overall. This was her first show outing. Won 2nd in the native cow or heifer born before 1/1/11 at Tenbury Wells Show 2012. Placed 3rd in her class (heifer born between 1/9/09 and 31/8/10) at Newbury Show. Came 2nd in Native breed class for cow or heifer in milk or incalf born before 1/1/11 at the North Somerset show 2013, 2nd in cow or heifer in calf class for traditional and rare breed cattle at the Royal Welsh Spring Festival 2013, 2nd in Belted Galloway class for cow or heifer incalf or in milk at the Royal Bath and West show 2013 and 1st in Belted Galloway class for cow or heifer in milk or incalf at the Royal Three Counties show 2013, she also won reserve overall champion here. Came 3rd in the senior female class at the three counties show 2012, this was her first show outing. Won best native breed cow or heifer born before 1/1/11 and also reserve champion native breed at Tenbury Wells show 2012. Placed 2nd in her class (heifer born between 1/9/09 and 31/8/10) at Newbury Show. Came 2nd in Belted Galloway class for cow or heifer in milk and or incalf (with her calf Flossy), at the Royal Three Counties show 2013. Shelsleys Dazzle won best native breed heifer born after 1/1/11 also at Tenbury Show 2012. This was her first show outing. Placed 1st in her class (heifer born on or after 1/9/11) and reserve champion at Newbury Show. Came 3rd in class for traditional heifer born in 2011 at the North Somerset show 2013 and also 2nd in pairs at the same show with Shelsleys Travis. won maiden heifer class for traditional and rare breed cattle at the Royal Welsh Spring festival. 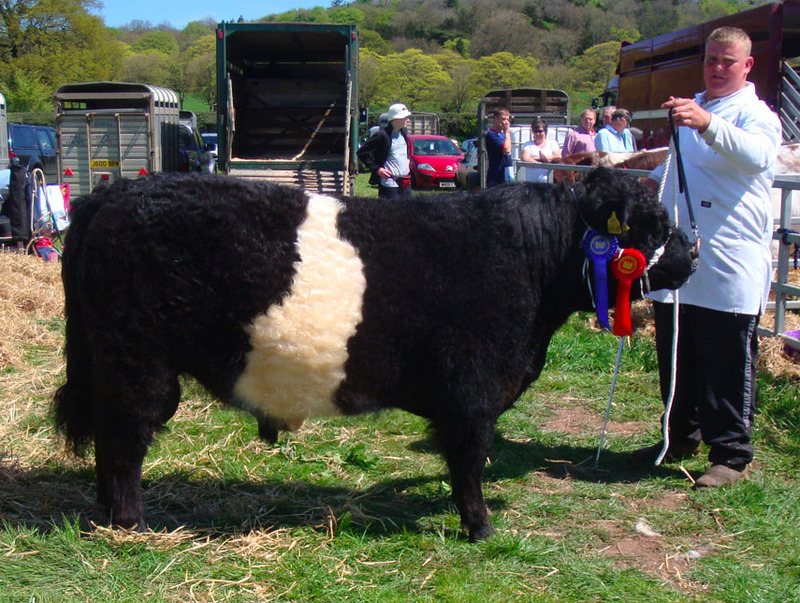 Won Belted Galloway class for heifers born in 2011 at Royal Bath and west show 2013. 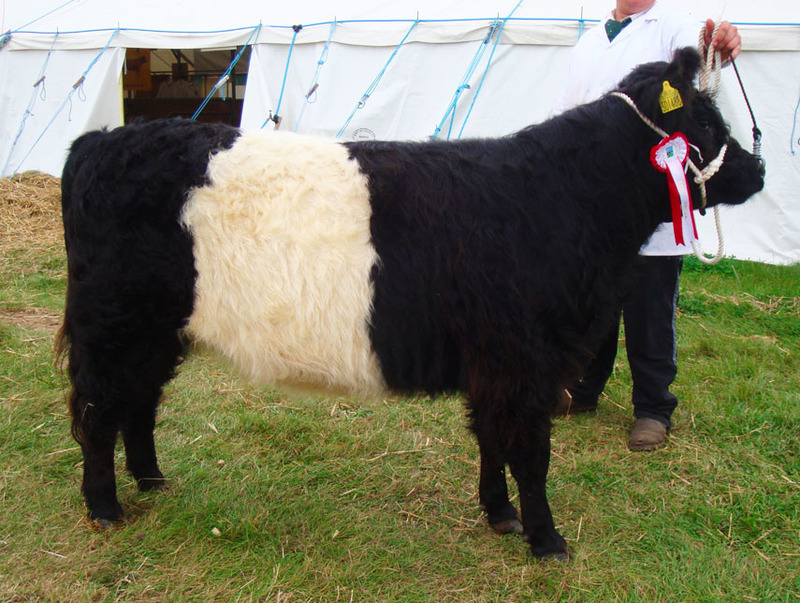 Won Belted Galloway class for heifers born in 2011 at Royal Three Counties show 2013. Came 1st in class for traditional heifers born in 2011 at Tenbury show 2013 and also traditional breeds reserve champion. Placed 1st in her class (heifer born between 1/9/10 and 31/8/11) at Newbury Show. This was her first show outing. Came 3rd in Belted Galloway class for heifers born between 1/9/10 and 31/8/11 at Royal Three Counties show 2013. Won 1st in traditional senior bull class at the North Somerset show 2013 and also 2nd in the pairs class with Shelsleys Dazzle. This was his only show outing, he was sold to the National Trust in May 2013.